Our opinion: Imagine a bridge across the Hudson River designed with cyclists in mind. A 21st-century bridge has to do more than accommodate trains. Sen. Charles Schumer was back in Albany earlier this month — not that an appearance by a senator who visits each of New York’s 62 counties every year is exactly news. He’ll be back again and again, of course, right up until his presumed 2016 campaign for re-election, and quite possibly into his fourth term as well. But here’s a visit by Mr. Schumer, come 2018 or so, that we’re determined not to miss: when he’s the first bicyclist to pedal over the Hudson River into Rensselaer along a rebuilt Livingston Avenue Bridge. It’s not about Mr. Schumer’s well-known flair for self-promotion. In this case, he would be absolutely entitled to lead the way. Mr. Schumer’s latest pet cause is inclusion of a bike path and pedestrian walkway in the reconstruction of a railroad bridge that needs to happen sooner than later. It’s endorsed by enough other public officials for a peloton. He’s trying to get the money for a project of a still uncertain cost now, before a more limited version gains traction. It might not be until 2017 before this can be done right. Mr. Schumer knows his history. He notes that for more than 80 years, pedestrians could cross the river here almost as readily as trains could. 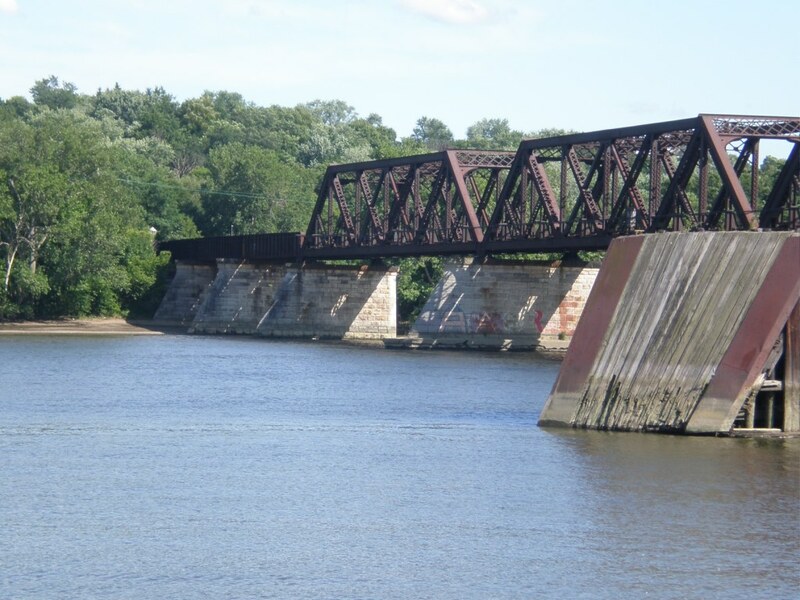 He’s apparently also learned a bit about cycling, too, since the Poughkeepsie-Highland Railroad Bridge, which carried trains from 1889 to 1974, became the Walkway Over the Hudson State Park three years ago. It’s a model that our community should emulate. A sensible connection for pedestrians and bicyclists is the next logical step in the tortuously slow process of making an asset as great as the Hudson River that much more accessible. A decade ago, Mayor Jerry Jennings led the way in creating a better path from downtown Albany to the riverfront — a pedestrian bridge to an outdoor amphitheater — even if the obsolete monstrosity known as I-787 still stands in the way. Beyond recreation, a multiuse bridge makes sense. Tomorrow’s transportation policies can’t be replicas of the era of cheap petroleum that is surely limited. Mr. Schumer’s notion of the bridge design reflects the health and economic benefits that could result if more people choose to commute across the Hudson by bicycle or on foot. The first step is to get the money for such a sensible project. Mr. Schumer has secured $2 million. The state DOT is trying to obtain another $4 million from the Federal Railroad Administration. Public meetings are scheduled on the bridge project later this year. We’ll hope for a big turnout — including, especially, those who will come by bike.